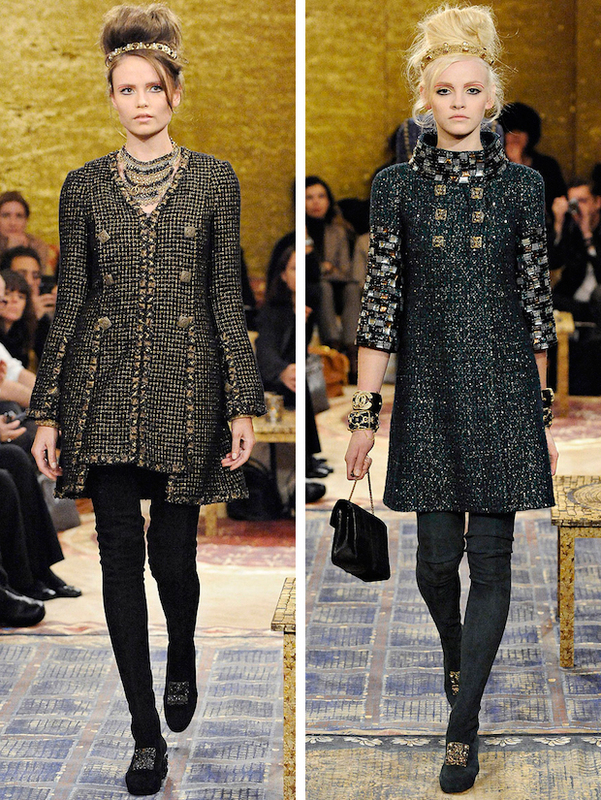 While the Spring 2011 collection did not impress me as much as other Chanel collections usually do, Karl is back to wowing me with his latest collection for the label. This Pre-Fall 2011 collection consists of a warm and rich colour palette; gold, cream, navy and plum with lots of pretty detailing. The whole collection reminds me a little of all the over-the-top beautiful churches I saw in Rome last month - you just want to stare at it. Here I've posted a few looks I was most drawn too, but that weren't necessarily the most dramatic looks out of the bunch.